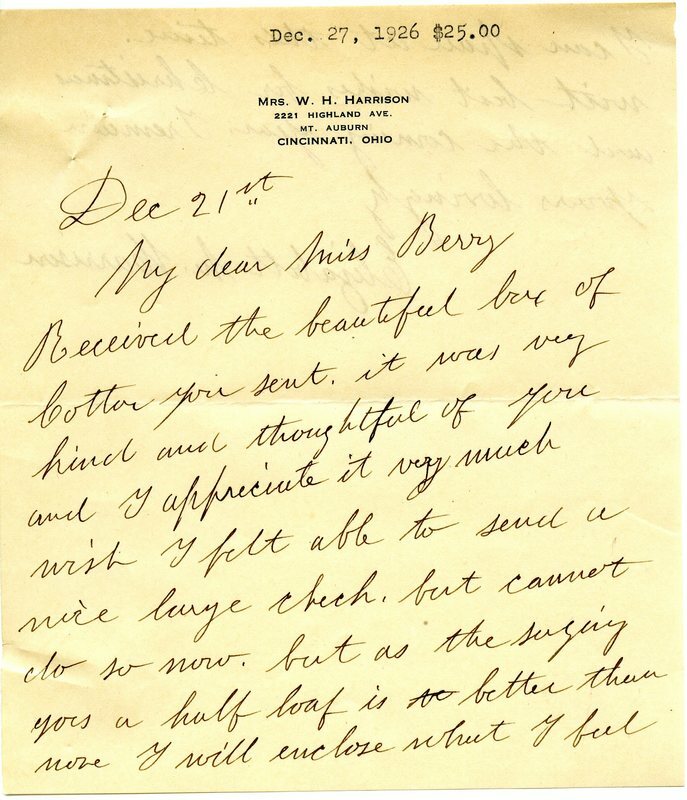 Mrs. Harrison thanks Martha Berry for the box of cotton she received. 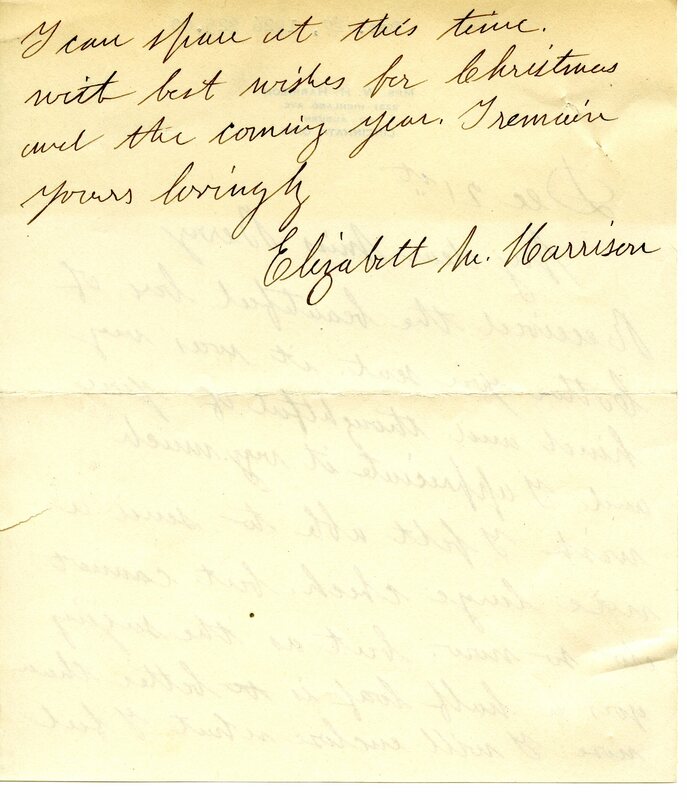 Elizabeth M. Harrison, “Letter to Martha Berry from Elizabeth M. Harrison.” Martha Berry Digital Archive. Eds. Schlitz, Stephanie A., Rachel Renaud, Sherre Harrington, Kelli Kramer, et al. Mount Berry: Berry College, 2011. accessed April 25, 2019, https://mbda.berry.edu/items/show/254.